Located in the Village of Woodbury, this lovely CONCRETE BLOCK and STUCCO Gardenia designer house has 1959 SF of climate controlled living space, but also has a spacious lanai area which has brick paver flooring and is partially covered with a screened lanai also. 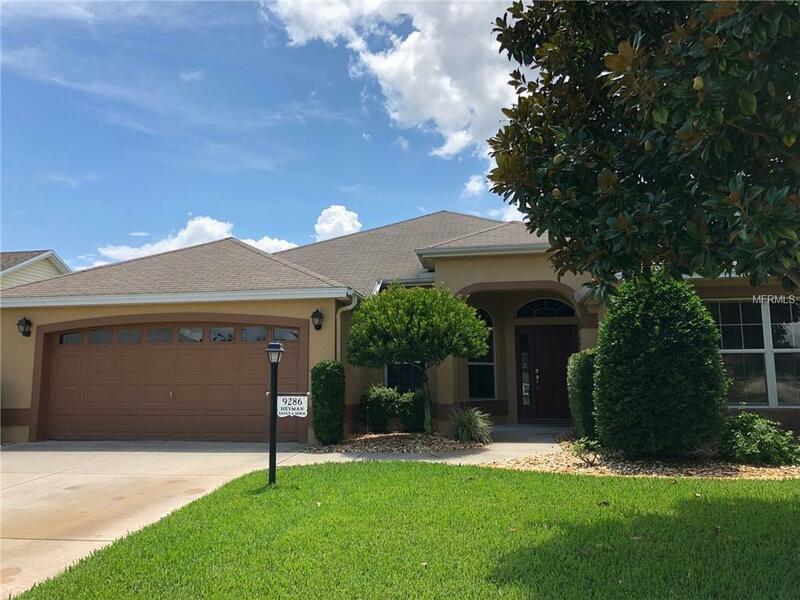 This 3 bedroom (the third bedroom has no closet but has been extended approximately 3 feet in length) designer house has 2 bathrooms, newer STAINLESS STEEL appliances in modern color, PULL OUT SHELVES in CABINET PANTRY, VOLUME CEILINGS. The interior was painted around 2017 at which time the carpet in the bedrooms, dining room, and living room was replaced. The exterior was painted around 2015. The MASTER BEDROOM suite has two spacious walk in closets and DOUBLE SINK vanity, with walk in shower. You can ACCESS THE LANAI from your master bedroom. The OPEN KITCHEN, BREAKFAST NOOK, INDOOR LAUNDRY, CERAMIC TILE FLOORING IN KITCHEN AND BOTH BATHROOMS, LAUNDRY ROOM and FOYER, are just a few of the features that you will appreciate. The SPLIT BEDROOM PLAN also makes this house ideal. A POCKET DOOR separates the guest area from the main living area so both you and your guests will enjoy privacy. NO HOMES behind and lovely landscaping also add to the many features that will cause you to want to make this house your home. The exquisite interior paint colors are hard to capture in pictures. This is a must see!! You will be glad you did. PRICED TO SELL.